A group of residents in Cornwall is fighting to have some parking access to their properties. 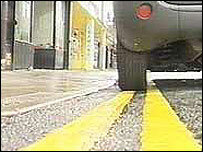 The residents of South Barncoose Terrace in Redruth cannot park at the front of their homes during the day. Now they have been given notice by Kerrier District Council that they can no longer use council-owned land to park at the rear of the houses either. The council said it had to protect its assets and access would be needed by contractors for a new link road. The residents currently park on a field behind their homes, courtesy of the former landowner, but to access the field they have to drive over council-owned land at Barncoose Industrial Estate. Last month the council issued residents with a 28-day notice to clear all vehicles, saying they were trespassing and were not entitled to cross the land. But Dee Tindale, a spokeswoman for Barncoose Residents' Association, said the council failed to understand the impact the loss of access will have to the 25 properties. She told BBC News: "There are elderly people, families with young children and some disabled residents who will have a huge problem. "We can park at the front from 6pm to 8am, but outside those hours it means we'll now have to park up to half a mile away." She said the urban regeneration committee's plans in 2004 had incorporated access and a quiet community area for residents. But the council said those plans were drawn up by the Cornwall Regeneration Project and had not taken into account the covenants affecting the land. It said it would be "entirely inappropriate to risk public funds in not dealing with a breach of the covenant and then having to respond to any action for breach of covenant". The residents' association held a peaceful picket outside the council on Tuesday evening and handed over a petition signed by about 500 people. Rob Grose, the council's head of service planning, said the council had strict legal obligations, although he had some sympathy for the residents. "We certainly haven't closed the door and we're working with the residents to find a solution," he told BBC News.